QolorFLEX 5-in-1 LED Tape is an interior-grade RGBWWCW LED Tape with high output brightness and the ability to create a wide spectrum of colors when used with a DMX color control system. 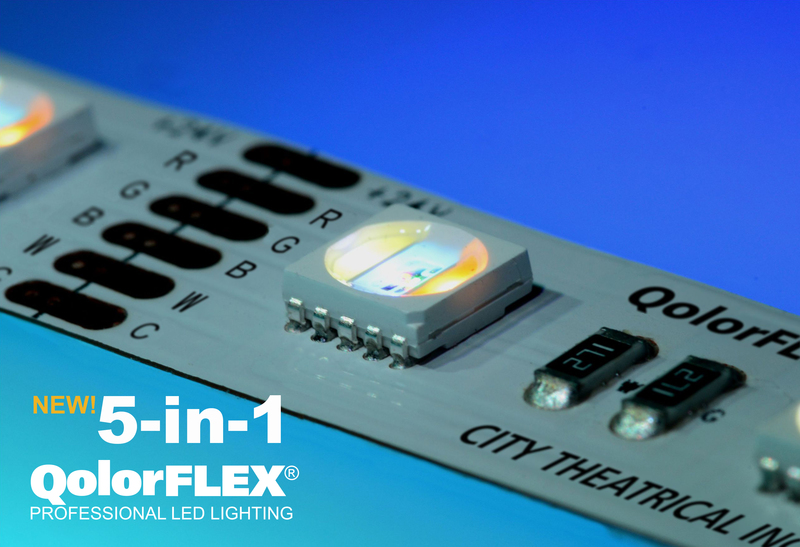 ETL-listed, QolorFLEX 5-in-1 LED Tape includes a tunable white that pairs an RGB diode with 2,500 K and 6,500 K white diodes so designers can fine-tune colors. Each tape also comes with wiring leads on both ends and durable 3M adhesive backing. 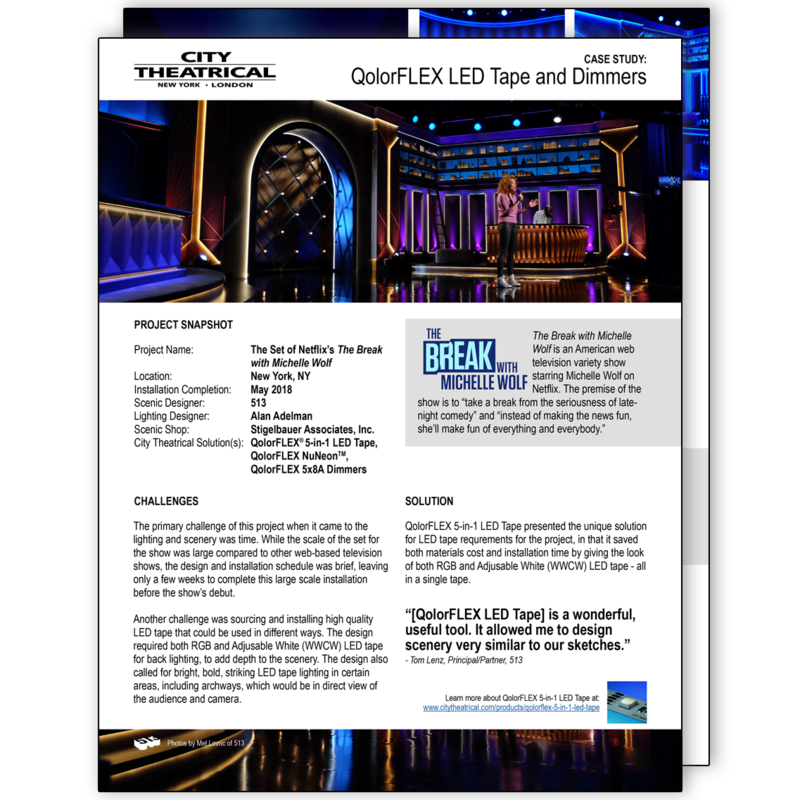 QolorFLEX 5-in-1 LED Tape is consistently color matched with the entire line of QolorFLEX LED Tape, including QolorFLEX Quad LED Tape, and pairs perfectly with the QolorFLEX 5x8A Dimmer. Like all QolorFLEX products, QolorFLEX 5-in-1 LED Tape is vibrant, easy to work with, and exceeds industry standards for service life. QolorFLEX 5-in1 LED Tape is available in full five meter reels and sample strips.